Everyone reading this post knows the drill well. After you're born, you waddle through a few early years teething and crying, then blast through puberty. A few years go by when you crack a few books in between keggers before being thrust into the world to battle it out on the real-time reality show we call "life". At my day job, I wear lots of hats; web designer, photographer, graphic designer, campaign developer, IT support, copy writer and corporate pilot. As part of the crew here at my ad agency, we all get a tremendous amount done every day. And as a good employee working for...myself, my work always comes before anything that resembles fun. It has to be this way if I/we are to survive as a viable business. We're going on 11 years now, and all is well in ad agency land, but as we get busier, my blogging time and energy to write at 11P at night dwindles to nothing. 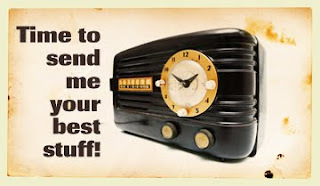 In an effort to keep my material fresh, I am putting out a request to my readers asking if anyone might want to submit an occasional post as a guest blogger. If you have a bit of a reputation for stringing words together in a fashion that entertains others, and you want to spread the word about an aviation topic of interest to my readers, send your writing sample to me. I'll look your it over, and post the ones that rock my world. I cannot promise to post them all, and will pick and choose the ones that exhibit the perfect mix of aviation enthusiasm and a professional writing style. I am looking for finished, quality writing, not rambling and rants. (1) Best thing to do if you wish to submit is email me a writing sample which includes a paragraph on what your story idea is and what story you want to tell. If it looks like something my readers will love, I'll place it on the blog, with links back to your site/blog or in some cases, your business. Of course, when used, your work will have all the proper bylines and attribution you deserve. Email me your writing sample here. (2) This is a volunteer blog, there is NO money involved for me or anyone else. So your published post/article/story will generate a little buzz for your writing, but no paycheck. (3) Please limit your writing sample to 500-1,200 words. Also, try to send a couple of pieces of art along as well and I'll edit the best one. (4) With your submission, you grant me the right to re-publish the article on World of Flying, but nowhere else. I assume no ownership of anything you submit, you are just loaning it to my blog for publication. (5) This is not the blog if you want to flame someone. Yes, your opinion is welcome and feel free to query me on any aviation topic. If you send in a finished piece, make sure it is written with taste and displays respect for anyone you mention. I am looking for people with good creative writing chops. Should be a fun and pretty straightforward experiment. You have stuff in your head, and you got a b+ in collegiate creative writing. 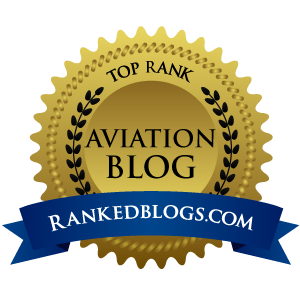 You really want to tell the aviation world a story, but maybe don't have a blog of your own. 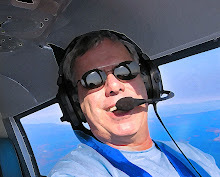 So please email me your writing samples and queries, and let me expand the horizon at World of Flying. Who knows, this might spark a new growth period with my blog, and I may end up hooking up with some new writers who want a outlet for their stuff. I am looking forward to hearing from you. Let's build a community, shall we? Email me your writing sample here.